The Kalamazoo Farmers Market is hopping this year! My recent Saturday morning visit was full of bright colors, fresh produce, friendly faces, and best of all, morel mushrooms! Here are some highlights from my recent trip. Rhubarb is in season right now in southern Michigan. 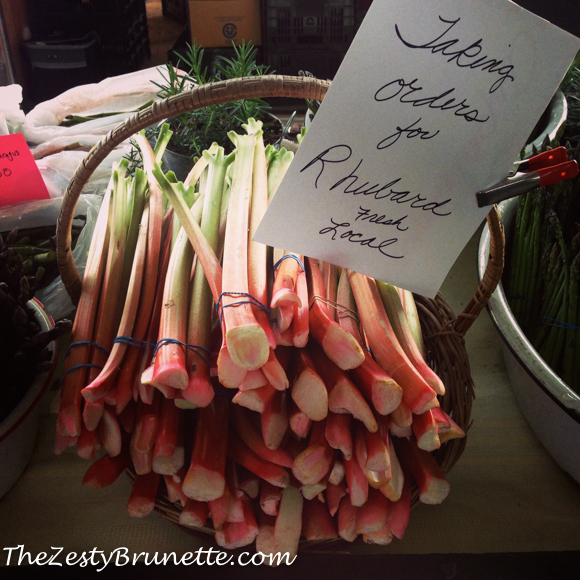 It’s the perfect time of year to make rhubarb pie, crisp, bread, and salads. Asparagus is also in season. Check out this pretty purple variety. Of course there was tones of the most popular green asparagus. 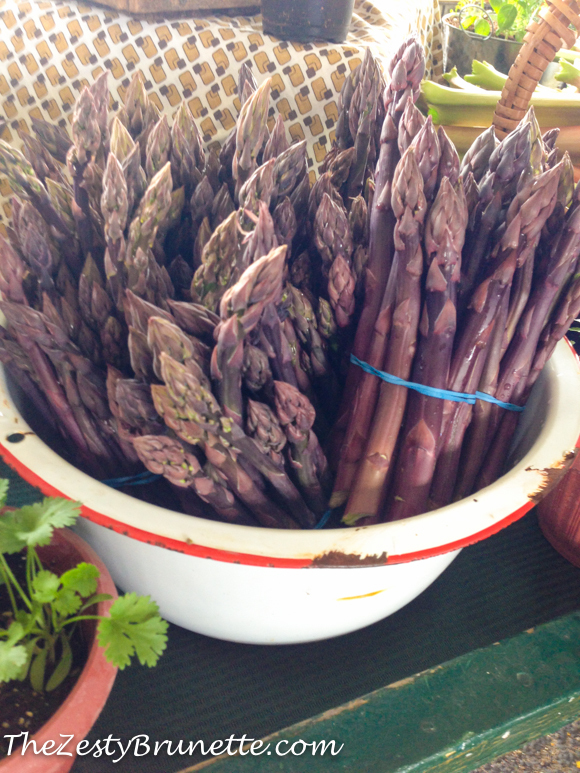 However I didn’t see any white asparagus at the market. I’ll have to keep an eye out for it. I feel very lucky to find morel mushrooms at the market! You can either buy morels at a farmers market or if you’re lucky enough to find them at a grocery store. Or you can forage (go pick them in the woods) like I recently did. Morel’s aren’t easy to find and many people are secretive about their spots. I don’t blame them though! 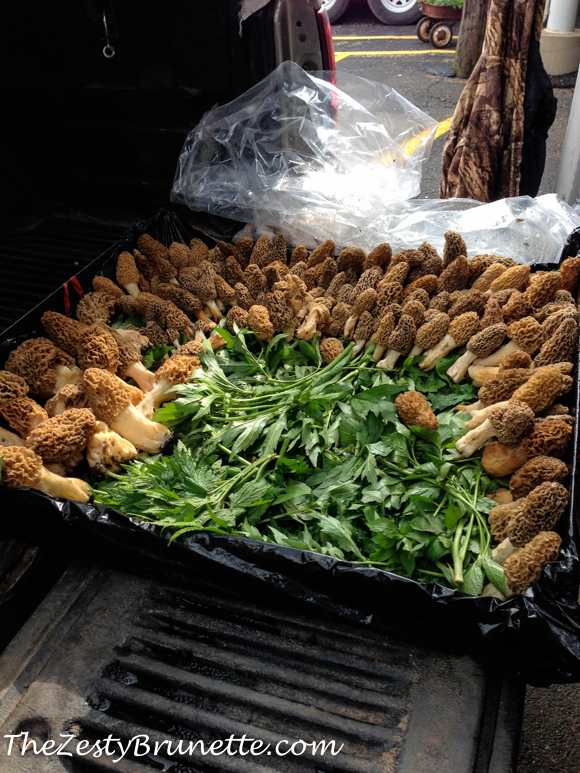 We purchased these morels for $30. 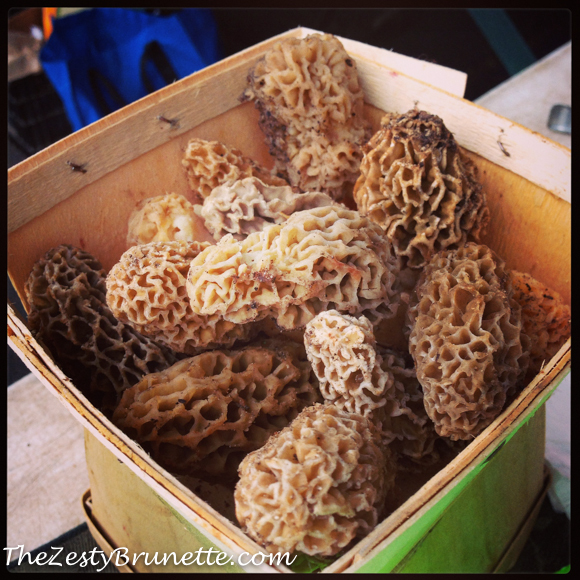 Check out all these beautiful morels my farmer had at the market this day! 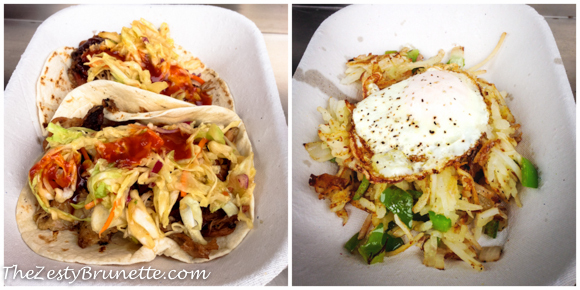 There were a couple of food trucks at the farmers market and I was so intrigued by Arcadia Ales duck hash and the pork taco that I had to try them! Be sure to check out your local farmers market this summer! You never know what delicious finds you might stumble upon. Here are a couple of farmers market tips to make sure you get the most out of your market experience. Where’s your favorite farmers market?